The long history of the Hürlimann brand centres around the figure of Hans Hürlimann, the son of a farmer who was able to make use of his training as a mechanic/fitter in the mechanical factory of August Hoegger in Wil (Canton of St. Gallen), where he became sales manager in 1926 and later founded a company which would stretch beyond the Swiss borders - thanks to the production of tractors for agriculture, industry and the army. It all began in 1929 when the first Hürlimann was manufactured: a petrol powered single cylinder tractor with mowing implement and with a total production of 416 tractors. The production technique - which was a winner for a long time - was completely artisan, with a very powerful vertical integration: even the machining processes of the small components were performed in-house. Between 1937 and 1939 the first industrial plant was completed in Wil and a patent filed for a front axle with wide steering angle. More importantly, the 4DT45, the first 4 cylinder diesel tractor with direct injection, was presented on the worldwide market. In 1940 Switzerland also had to deal with the effects of World War II and Hürlimann modified its production: diesel tractors were changed to operate with coal gas for fuel. During the same period new rear wheels with pressure spring suspension systems and without inflatable tyres were tested. The company expanded its factory after the war, consolidated its position on the market and began exporting. Hürlimann introduced the D600 tractor (70HP) during the 1950s, which was especially popular in Argentina (a significant portion of the production was earmarked for South America). In 1950 Hürlimann patented a motorised harrow with excellent performance capacities: the documented production was 6,162 m2 harrowing per hour . The famous D90 was released from the Wil plants in 1959, remembered as the best known model of the brand. The engine, clutch, gearbox gears, axle and hydraulics were all built and assembled by Hürlimann. A modern manufacturer and skilful salesperson, Hans Hürllimann grasped all of the benefits of a production approach aimed at quality rather than quantity: every year the factory manufactured a limited number of machines, which Swiss (and not only) farmers considered among the best tractors on the market. 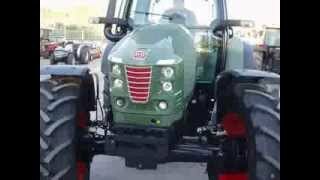 In 1966 Hürlimann was one of the first tractor factories to build high capacity models, manufacturing a 95 hp model with a 4 cylinder engine (540/1000 rpm) designed and manufactured by the company and introduced the first hydraulically driven PTO (540/1000 rpm). New synchronised mechanical transmissions were introduced with 6 gears and 3 ranges combined with the assembly of a ZF front axle to obtain a four wheel drive. The first tractor with a turbo engine was launched on the market to meet the requests of customers who required higher power and lower consumption. Ahead of the times and probably too early for the market, the T14000 was manufactured. 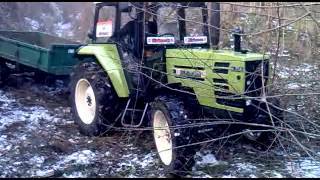 A 150 HP tractor with continuously variable transmission. At the end of the 1970s, the heirs of Hans Hürlimann made a proposal to Vittorio Carozza – who had been at the helm of SAME for a few years, who replaced Francesco Cassani – to take over the company. The deal was concluded quickly to the satisfaction of both parties: in 1979 SAME officially became“SAME Lamborghini Hürlimann” (SLH), the number two Italian manufacturer and ranking among the top places on the worldwide market, with a complete and differentiated range of models. 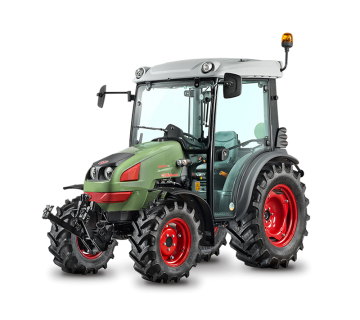 Production began on the series “H” models: a new range of tractors with 60 to 160 hp engines (H-1103, H-1104 and H-1106) aimed for the European market. 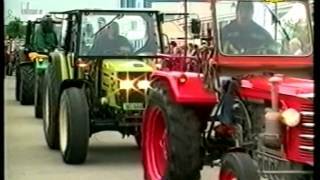 Five years later (1984) another breakthrough: a new range of machines with a 54 - 165 hp was introduced, with innovative features, new styling and original cab. The H1104, H1105 and H1106 engines, fitted on the early models, were later replaced with 1000 Series engines cooled by water. In 1989 the injection was electronically regulated and new ECUs added to control the most important functions of the traction components and differentials. In 1990 115 HP (H6115) and 135 HP (H6135) models were released. 1991 was the year the MASTER range was launched, high power tractors fitted with the innovative “Electronic Power Shift” transmissions. Thanks to the PRINCE range of smaller tractors, in 1993 Hürlimann entered a new market segment: small-scale farming and agriculture. In 1995 with the acquisition of the DEUTZ-FAHR brand, the SAME DEUTZ-FAHR Group was founded. This Group marks the development of Hürlimann's recent history, up to the current "X" series crowned by the innovative XB Max. Proof of the great popularity the Hürlimann brand still enjoys was seen for the 65th anniversary of the company's founding: 1,540 perfectly operational Hürlimann tractors gathered in Wil at the spot where the factory created by Hans Hürlimann stood. The new 85-150 HP XT series tractors were presented to the market at the same time as the 120-200 HP SX range completing the open field product line. Hürlimann's 75th anniversary was celebrated in Wil, Switzerland with a great event and the presence of more than 20,000 visitors. All of the tractors bore the Hürlimann red colour to mark these 75 years. After the 75 years celebrated with red painted tractors, Hürlimann changed look: new engines entered production to meet the Euro2 regulations and silver became the new colour. This year marked a turning point in the concept of driving Hürlimann tractors, with the start-up of production with new V-Drive continuously variable transmissions. 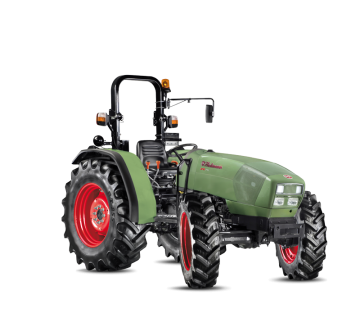 Since almost all of the brands were renewing their product ranges, Hürlimann decided to enter the field with the new Giugiaro design, a refined profile and new colour reminiscent of the original colour of Hürlimann products with the XA T4i and XM.K range of tractors. The XA T4i and XB t4i ranges were equipped with the latest generation turbo-intercooler and common rail. FARMotion engines. These are high technology powerplants, conceived for maximum performance with low running costs. The new geometry of the individual cylinder heads and combustion chambers help improve the diesel combustion process, letting the tractors take full advantage of the engine while significantly reducing fuel consumption.